I have some seriously great friends. Over the last few years they have helped me get into all sorts of adventures that I might not have otherwise ever considered before. 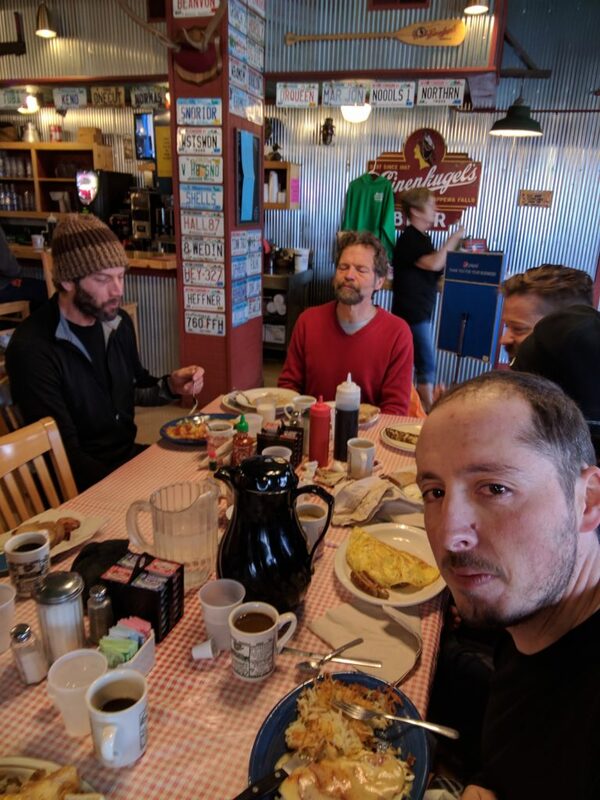 I wrote about one of the original ones on the CyclovaXC blog a number of years ago titled “Good Friends and Good Bad Ideas”. There was also a great article in the April 2017 issue of Silent Sports titled “The Big Dumb Ride” that sounded right up our alley. This adventure started similarly. 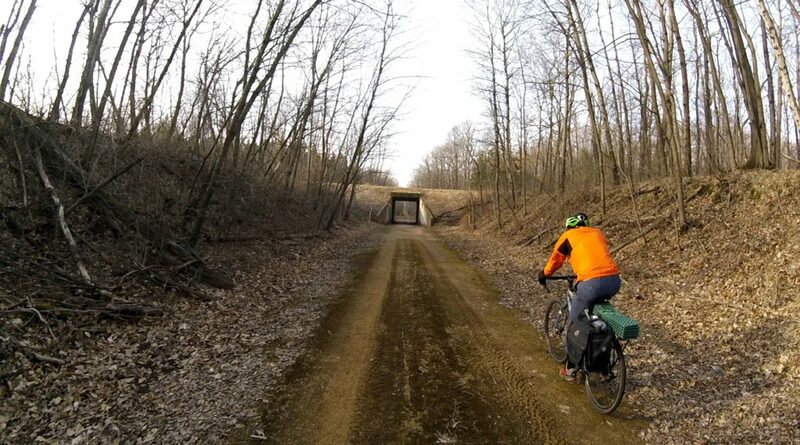 In my training for Trans Iowa I’ve been trying to ride in all types of conditions to prepare myself and my equipment for what it will be like during the event. 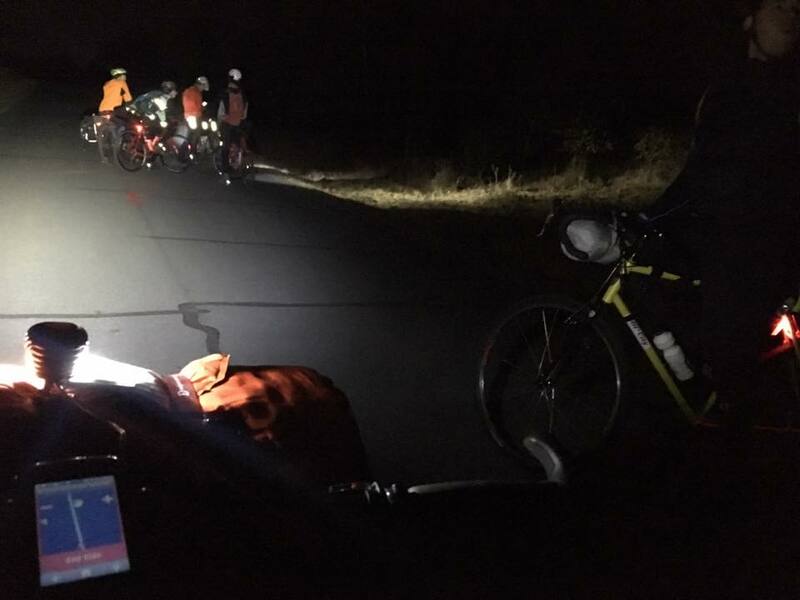 Since this is a 34 hour event, that includes riding in the dark. A little over a week ago I took a short little spin on the local gravel roads at night. The following exchange on Strava was the genesis for this adventure. 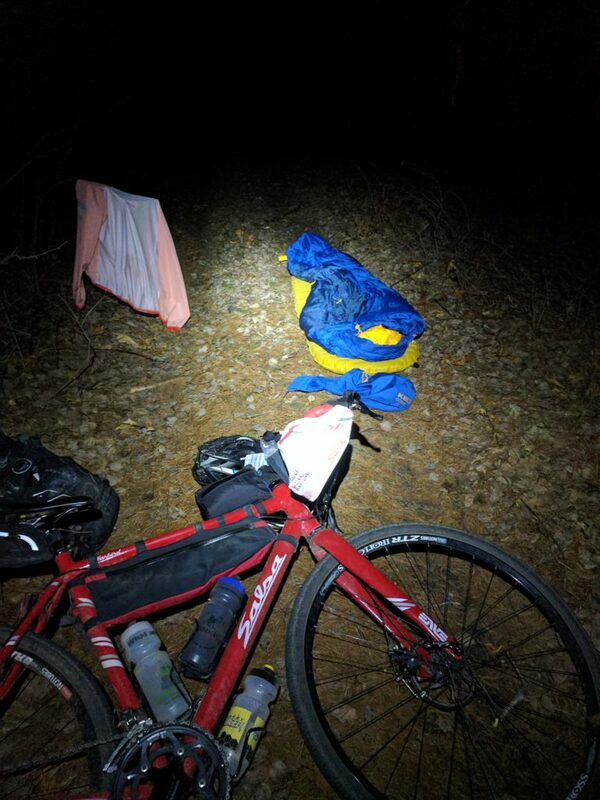 What followed quickly snowballed from a night time metric on the Gandy to a full blown, ultra-cyclist, overnight bike packing adventure. I gotta hand it to Dallas on this one. He conceived of this adventure, tailored it to some pretty specific needs for my training, and helped round up a killer crew of like minded nutjobs. The final plan ended up being to meet at the Polk County Info Center to depart at 10pm on Friday night. 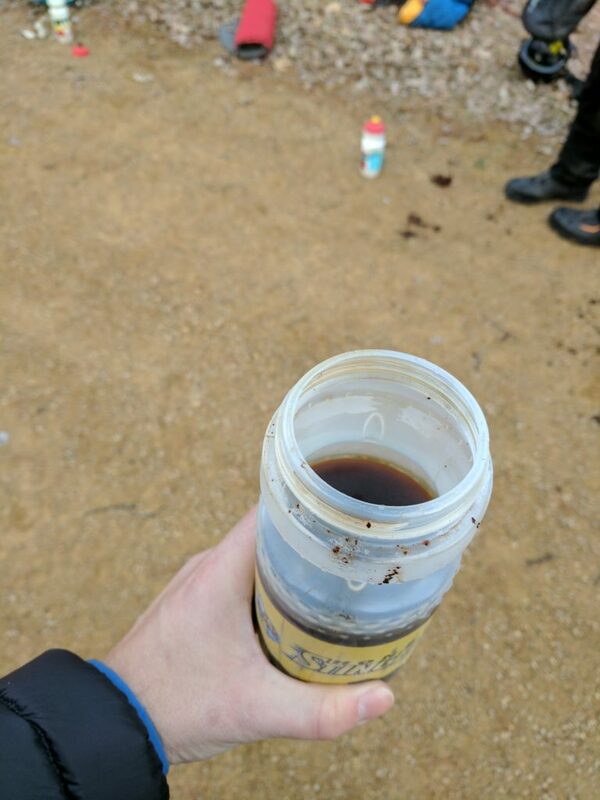 The route was going to be 95 miles, with at least 50 of that on gravel. Dallas would hand me the cue sheets to do the navigation with at departure. 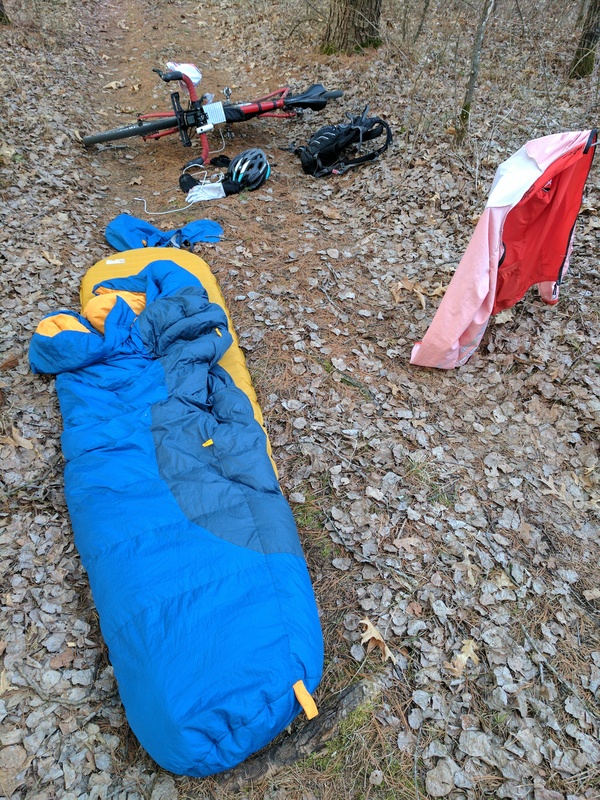 Somewhere after mile 60 we would find a secluded spot to sleep for a couple of hours before finishing the ride in the morning. Aside from the sleeping bit which isn’t necessary for TI, this checked all of the boxes for a bunch of stellar training for the event. The sleeping in the ditch was just a bonus. Yes, seriously, a bonus. Prior to the event on Friday I met up with another TI rookie to liquid carbo load and geek out on TI. Originally I thought I should nap, but then realized that staying up all day before riding into the night was better prep for the second night of the event. In fact it was still pretty tame considering at TI I’ll have been riding all day before riding into the night.  One thing about starting in the dark… its hard to get a group photo. Like I said, I’ve got some pretty cool friends. Knowing full well what this little adventure entailed, Dallas and I rounded up a total of 8 people for this. And we had a couple that wanted to come that just couldn’t make the timing work. The first to commit was DM. He told me he hated me after riding in the rain two weeks ago. There was some swearing involved when I told him about a night metric on the Gandy. More swearing when I told him Dallas had upped the game to a bike packing adventure. The adventure sounded like a horrible stupid idea so I knew he was in from the moment I told him about it. Next up was KV. He had to work the next morning but he committed to riding with us and then suggested he might ride to work. That idea changed when he realized he would have to ride back after work then. Instead he rode the first half with us and then soloed back to SCF to drive to work. When Bike to the Birkie Guy heard about this plan it was a no brainer that he wanted in. I mean, it wasn’t even close to freezing outside. JK from two weeks ago was in. Then he asked if his stoker for the Party Keg could come too. Duh! So the power couple of PB&J(K) were in for the good times. Rounding out the crew we had a late commit from NB. 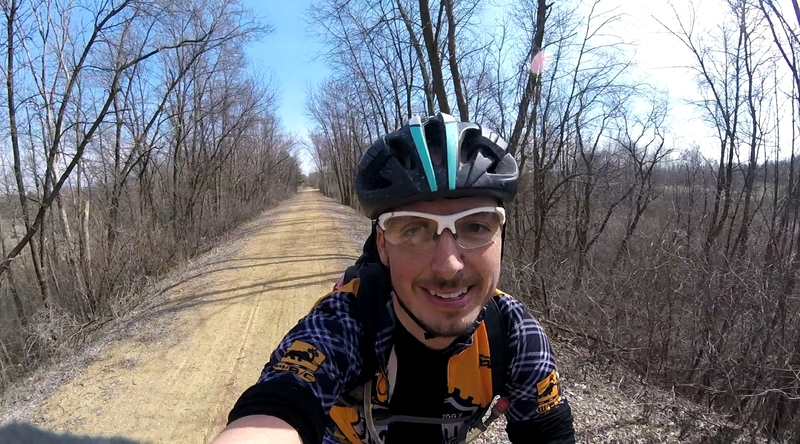 We shared close to 300 miles of gravel last spring so it was great to have him along as well. Gear wise I wanted to be as close to TI as possible. The major exception was the need to carry sleeping gear. 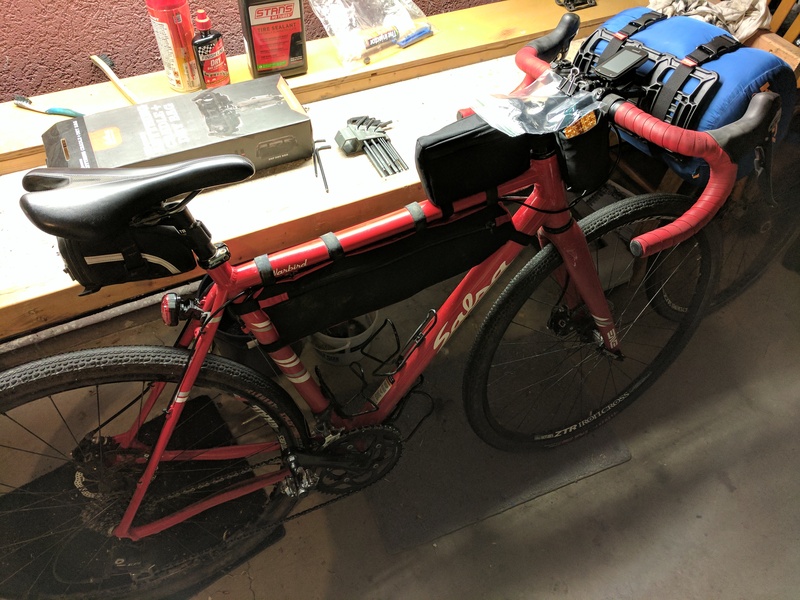 Despite going super minimal (sleeping bag and inflatable sleeping pad) I still couldn’t quite get it on my bike as configured for TI. Thus, enter the Salsa EXP Series Anything Cradle. Other than the Anything Cradle holding the sleeping bag and pad I tried to run everything else as close to my TI setup as possible. For my cue cards I went the super basic bulldog clip ziptied to my stem. It worked incredibly well and the cost was right. The crew slowly rallied in the Polk County Info Center lot until about 10:15 pm on Friday. As I did my final starting of my GPS and Garmin Livetrack the crew rolled out without me. Guess they didn’t need me to navigate after all. Of course they all missed like the 3rd turn on the cue sheets. I took it anyhow. We then promptly started running into errors on the cue sheets. For whatever reasons, the cues that Google generated were missing every third turn or so. This resulted in a somewhat stop and go affair for the first probably 35 miles or so. We’d come to an intersection and Dallas would consult a map and the cue sheets to see if we were on track or not. To be fair, he made it perfectly clear that he had not proofed the cues at all before hand. 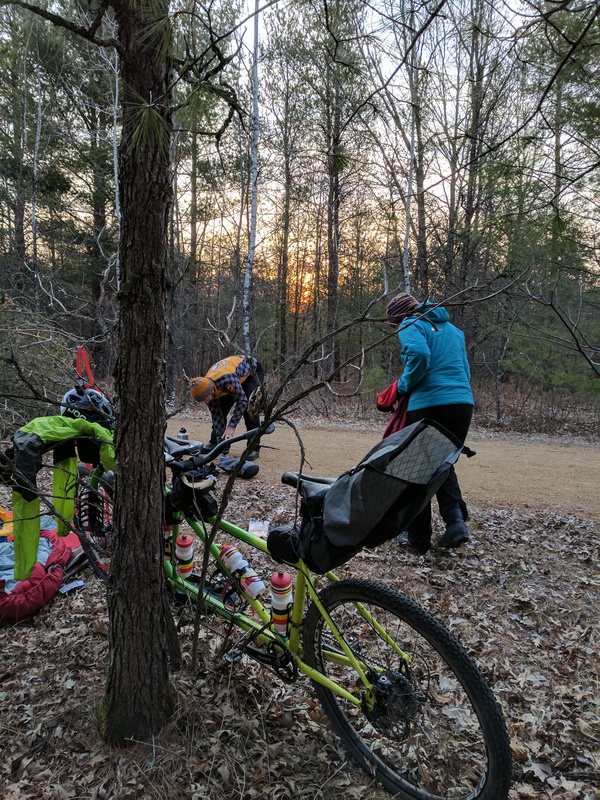 It was a beautiful night though to be out and with a little tailwind we were just flying along and enjoying the night and the company so there were zero complaints. The route that Dallas planned was in familiar territory, but mostly on roads I had not ridden. In many places we were paralleling the Mammoth Gravel 100 route through the sand barrens. Other than perhaps recognizing some of the turns I probably wouldn’t have recognized the ride anyhow though. It is a totally different world riding by headlamp. In the heart of the sand barrens we had a several mile stretch of super deep sand. With the extra weight on the handlebars it took some real concentration to keep the bike moving forward. Even the Party Keg tandem had a few issues. Seeing them power through most things and then watching the whole thing get buried most of the way up to the hubs was quite the sight. Once clear of the sand barrens the riding got better. We bid adeau to KV so he could solo his way back to the car and we continued on towards Grantsburg. Starting here we had a number of stretches where we were able to turn off the headlamps and ride by the light of the quarter moon. A picture of riding by the moon isn’t all that exciting. The riding was absolutely fantastic though. 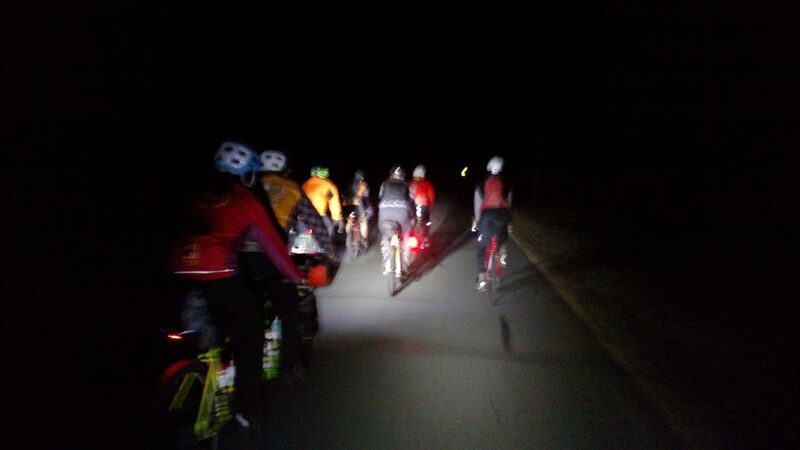 We rolled through Grantsburg at about 2:30am. I think we saw the second of the three cars we saw since passing the Wolf Creek Bar. After a quick stop as we turned onto Phantom Lake to put on the rest of my warm riding clothes, I found myself riding alone into Crex Meadows. I knew where I was, knew where everyone else went, and was in no hurry so I just enjoyed myself. I figured this was good practice for being all alone at TI. It was actually pretty pleasant. It was in this stretch starting just before Grantsburg all the way to the Gandy where the cue sheets were actually really good. Obviously I had taken quite a few wrong turns prior to that so my distance on my Garmin was pretty far off from the cues. This allowed me to test out my Cue Adjusted Distance data field I wrote in ConnectIQ. It worked to perfection. Do the math once to correct the data field and then just use that instead of trying to do the math for every turn. Seeing as I was already concentrating hard enough to remember the distance and street names I didn’t need math too. Wildlife was pretty sparse in the dark. I think we may have scared up a possum or skunk south of Grantsburg. Between Crex and the Gandy though we chased a muskrat down the road for a little while. Without much discussion we decided that it was time for our “rest”. Camping isn’t allowed on the Gandy so we clearly weren’t doing that. Instead we all dispersed near the trail and rested for about 2.5 hours. A nice cozy rest stop. JK claims that he didn’t get much rest with a bunch of snoring going on around him. I on the other hand slept great other than needing to pee “in the middle of the night”. I left the Garmin running the whole trip. 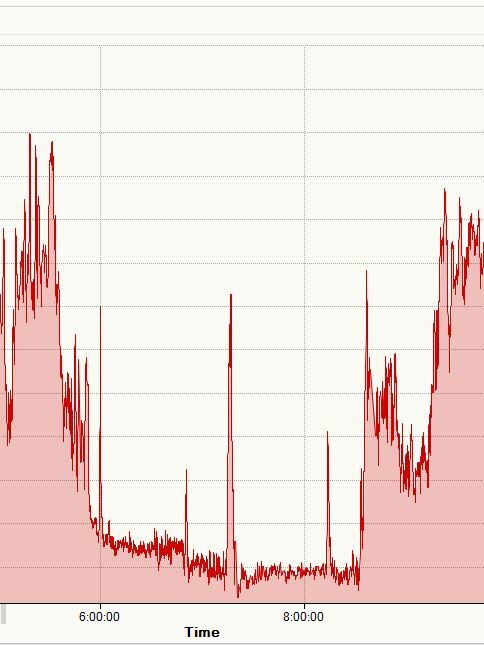 Find my resting HR and where I had to get up “mid rest”. Shortly after sunrise we were up and trying to get rolling again. JK made some fantastic pour over coffee. The fine china needs some work, but the coffee was delicious. Daylight view of my sleeping quarters. All told it looks like we were off the bikes for a little over 3 and a half hours. There was definitely some groaning going on as the bike wheels started turning again. Some folks wishing for more sleep, some food, some looking for a bathroom. 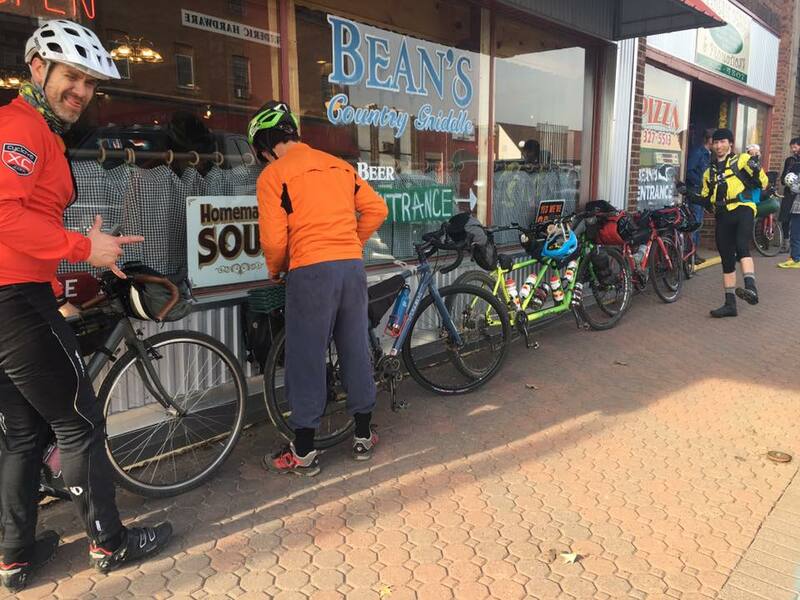 We did built up a little steam and rolled about 12 miles down to Frederic where we all descended upon Beans Country Griddle. We all proceeded to order twice a normal persons breakfast. 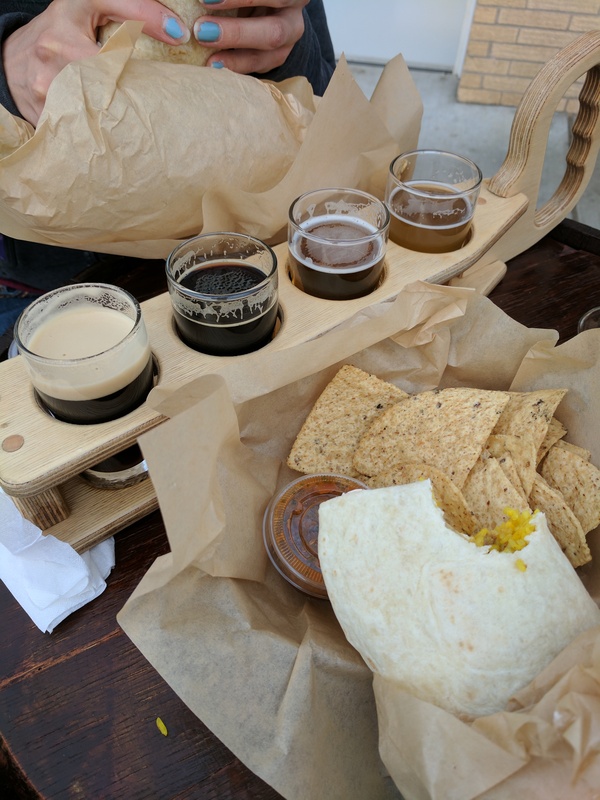 Despite the initial astonishment, the waitress took it all in stride and quickly we were all refueling for the push home. The final push into Frederic for breakfast. After breakfast it was the final slog back to SCF. The crew slowly broke up on the way back with people peeling off to go home. Some to do a bunch of yard work, some to get a few extra miles to get a full century. I ended up doubling back for a mile or so with Crazy C who was just headed out for his morning ride. Even so I still ended up doing a few extra laps of the info center to round out my 100 miles. And eventually it was just me on the trail. So aside from a reminder of how cool a crowd I hang out in, I learned a few things along the way. No one will ride behind me at night with my blinky light on… its too bright. All told it was quite the adventure and a ton of fun. I won’t deny that the nap later Saturday afternoon didn’t feel really good though.